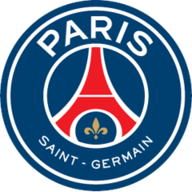 Paris St Germain remain unbeaten in Ligue 1 after a comprehensive 4-1 victory over St Etienne at the Parc des Princes on Sunday. After a lacklustre display against Real Madrid in the Champions League, PSG were looking to win their fifth league game in a row against their opponents who had earned their first Europa League victory at Dnipro midweek. The defending champions were ahead after 23 minutes when Marco Verratti teed up defender Layvin Kurzawa for the first before Edinson Cavani made it 2-0 three minutes after the break. Zlatan Ibrahimovic put the game out of reach when he scored his 15th Ligue 1 goal in 13 games. Verratti then put the ball into his own net as St Etienne grabbed a goal back with 17 minutes to go but Brazilian midfielder Lucas Moura headed in PSG's fourth three minutes from time to keep the hosts seven points clear at the top. Laurent Blanc made three changes from the side which drew against Real in the Champions League as Gregory van der Wiel, Kurzawa and Adrien Rabiot all came into the starting line-up. The hosts should have been in front after five minutes as Angel Di Maria's cross was met by Thiago Motta but the Brazilian could not direct his header goalbound. But it was former Monaco left-back Kurzawa who slotted his shot past Les Verts goalkeeper Stephane Ruffier to give PSG the lead. 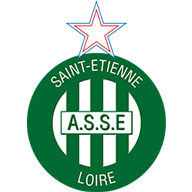 St Etienne had Ruffier to thank for keeping his side in touching distance before the interval after he saved Cavani's shot from point-blank range. PSG's strike duo of Cavani and Ibrahimovic combined to double their advantage three minutes after the break as the Uruguayan forward turned in Ibrahimovic's low cross from the right, before the Swedish talisman grabbed PSG's third to stamp down their dominance after 67 minutes. It took a freak own-goal from Verratti to get the visitors on the scoresheet as Marquinhos' clearance bounced off the Italian to give keeper Kevin Trapp no chance. But substitute Lucas' back-post header managed to the cross the line despite Ruffier's best attempts to claw out his effort as Les Parisiens comfortably sealed all three points.